Roberto Rosas’ résumé is impressive: consultant to the Mexican government on public administration projects, the CEO of a business consulting firm, a business manager, a former engineer for Kodak, and a canon lawyer. Not to mention, he was an adviser to the two past Presidents of Mexico on migration public policy. A longtime St. Mary’s School of Law professor with dual citizenship in Mexico and the United States, Rosas is passionate about being a voice for Mexican citizens living outside the country. Meanwhile, his experiences in Mexico bring a unique international flavor to his work at St. Mary’s. In 2003, Rosas became director of the Commission of Legal Affairs for the Advisory Council of Mexicans Living Abroad. His first initiative was to implement absentee voting, a right Mexicans living abroad did not have. In 2005, the law was changed, but there were significant flaws. “The government said all Mexicans have a right to vote, regardless of where they live, but the law didn’t say how they can vote,” he said. So the fight was not over. Rosas and the Commission continued until the government agreed to pay the costs for ballots mailed to citizens abroad. Finally, that law was changed as well, but problems remained. In May 2014, the Mexican Congress approved another change in the law, allowing Mexicans abroad to vote for president, governors, mayors and senators starting in 2018. Starting with that election, absentee voters abroad could return their vote by mail, in person at all Mexican consulate offices and via the Internet. Mexican voter registration cards will also be available at Mexican consulate offices, making the voting process easier than before. In addition to changing absentee voting policies, Rosas and the Commission continue their fight to gain the right for Mexicans abroad to have their own representative in congress, voted for by Mexicans living abroad. 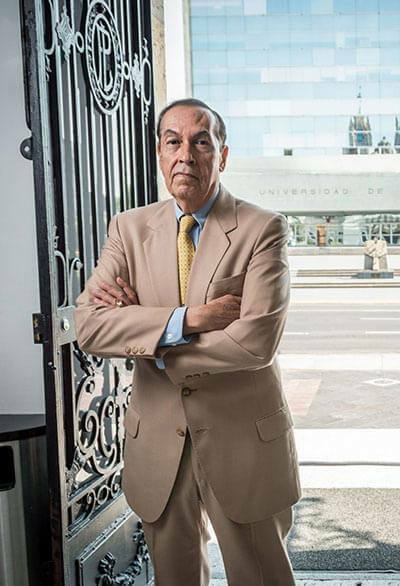 In February 2014, at the headquarters of the National Human Rights Commission in Mexico City, Rosas was named president of the Centro de los Mexicanos en la Globalization. As president, he plans to continue working with Mexicans who live in the U.S. and Canada to defend the human rights of Mexicans living abroad. Rosas considers his work in Mexico to be a heartfelt calling he enjoys retelling to his students in the classroom. “To me, it is a social commitment to be able to help Mexicans living abroad,” he said.